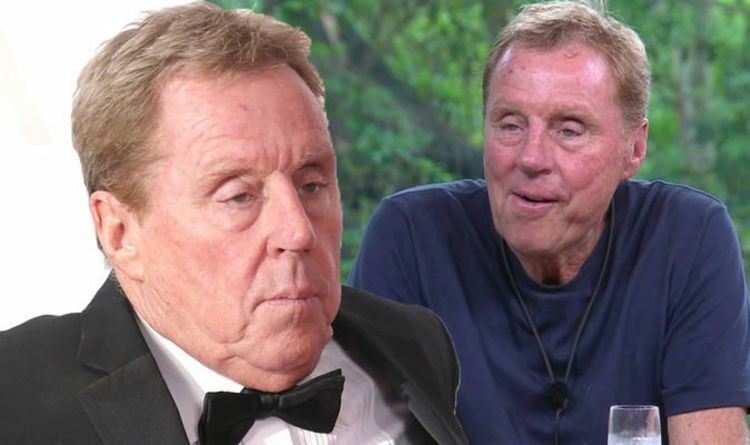 Harry Redknapp was crowned king of the jungle after beating Emily Atack at the last hurdle last December on I’m A Celebrity… Get Me Out Of Here! 2018. However, the football manager had never seen an episode of the ITV show before signing up and, after a chat with a past contestant, he “nearly pulled out”. The 72-year-old admitted all in the latest instalment of The Jonathan Ross Show, set to air tomorrow night. Jamie Redknapp’s dad was left feeling “scared” about the gruelling Australia-set challenge after chatting to Neil ‘Razor’ Ruddock. The former footballer, 50, appeared in the third series of I’m A Celebrity in 2004, which was eventually won by Kerry Katona. The star was third to bid farewell to camp, after Mike Read and Diane Modahl in a shock vote off. Harry revealed that he had discretely asked Razor what it was like, and it nearly made him quit before even flying Down Under. He commented: “Razor said, ‘It was the hardest thing I’ve ever done in my life… It was unbelievable’. Despite his remarks, his fellow guest John Barnes, 55, who is appearing on his new show Harry’s Heroes: The Full English, said he would love to sign up to be a campmate. “From the point of view of eating anything, I eat everything and anything, so from that point of view I would do it,” he stated. Harry’s Heroes will see him attempt to get a team of unfit 90s footballing legends back in shape and onto the pitch. He added: “You look at the group there and they were real top players but once you stop playing, it’s difficult. Harry and John were joined on the sofa by Gemma Collins, Naomi Campbell, James Acaster and singer Dido. The supermodel finally addressed reports she is seeing Liam Payne, and said the stuff she read about her love life is “humorous”. Meanwhile, the TOWIE regular revealed all about Dancing On Ice 2018, ahead of the final on Sunday. She said: “I loved it. I came out every week. I was so nervous. I can dance in a nightclub, don’t get me wrong. The Jonathan Ross Show airs tomorrow at 9.20pm on ITV, while I’m A Celebrity… Get Me Out Of Here! is expected to return later this year to the same channel.